It was only the fifth time in Sarasota County history that staff had brought to the County Commission a petition for a Coastal Setback Class II Emergency Variance, Environmental Permitting Manager Howard Berna told the commissioners on Jan. 29. After hearing from staff and one of the petitioners, plus supporters of the latter’s plans, two of the commissioners almost spoke in unison as they tried to make a motion to approve the request. “We’re going to fight over you now,” Commissioner Nancy Detert told Joey and Tracie Langston of 2016 Casey Key Road, after Commissioner Alan Maio let her make the motion. Maio seconded it, and it passed unanimously. 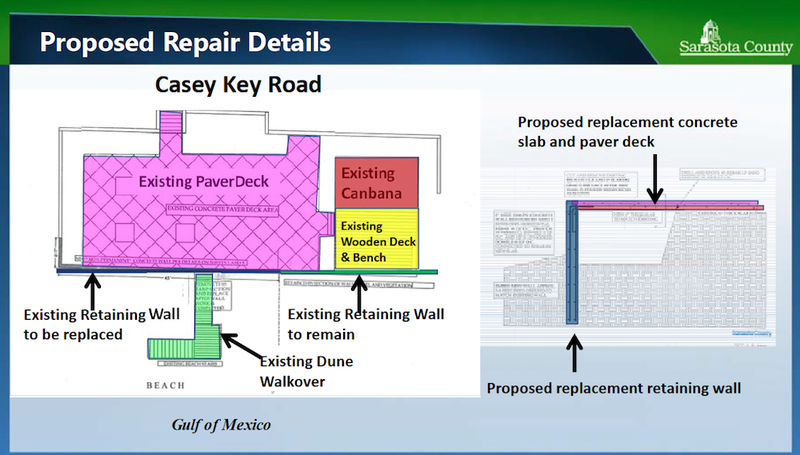 As Berna explained to the board, the Langstons were requesting the variance so they could repair the damaged part of a concrete retaining wall and a paver deck on the Gulf side of their property on Casey Key Road. They also planned to connect the wall to the new section of concrete deck slab, using reinforced steel rebars. The granting of such a variance makes it possible for a property owner to take “temporary storm protection measures,” Berna added. Showing the board an aerial image, Berna explained that the Langstons’ property is midway between the Blackburn Point Road Bridge and the Albee Road Bridge. The Langstons’ house, on the bay side of Casey Key Road, was constructed in 2010, Berna noted. On the west side of the road, the couple has a cabana, the concrete paver deck, a wooden deck and the retaining wall, which dates from the 1970s. Additionally, a dune walkover structure was constructed in 2005 through a process that staff was able to handle on an administrative basis, Berna said. The retaining wall is only about 83 feet long, he continued, while the Langstons’ shoreline encompasses approximately 200 feet. The rest of the shoreline is natural, Berna added. 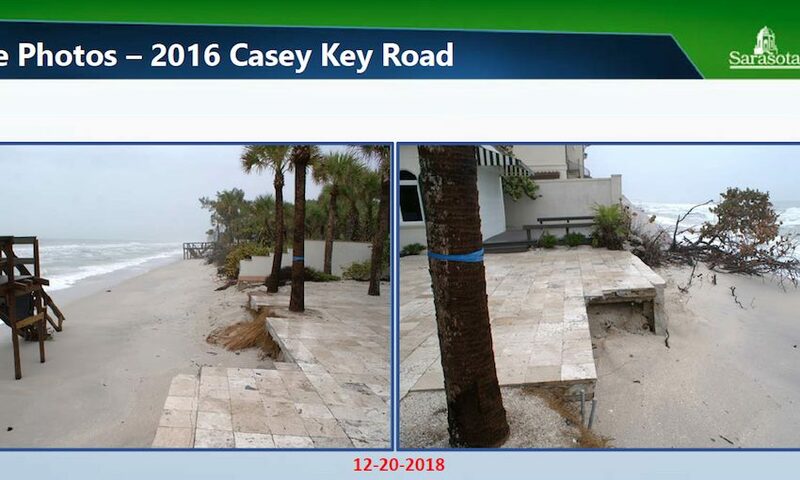 In 2018, the Florida Department of Environmental Protection included that section of Casey Key’s beach in its list of critically eroded beaches in the state, Berna pointed out. Showing the board a series of slides, Berna explained that the retaining wall first began to separate from the concrete slab of the deck. A staff memo in the board’s agenda packet noted that in March 2018, “a strong cold front caused more than 10 ft. of dune erosion at this location.” On July 25, 2018, the Langstons applied for the Class II Emergency Variance, the memo said. Then, after Hurricane Michael passed through the Gulf last September, Berna told the commissioners, about 48 feet of the northern portion of the concrete retaining wall and a portion of the concrete deck collapsed. That segment of the retaining wall needs to be rebuilt, he said, and then another section 6 to 7 feet long would be constructed to connect the retaining wall to the deck. About half of the 7.5-foot panels will be buried below the grade, he added. The new segment of the deck will be a 6-inch slab, he continued, with pavers placed on top. 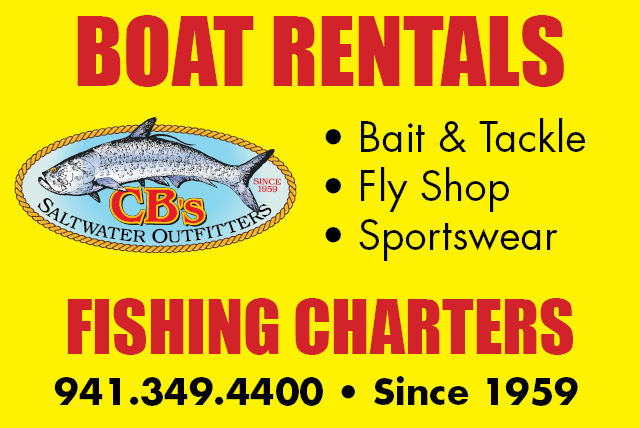 The wall is approximately 45.3 feet seaward of the county’s Gulf Beach Setback Line (GBSL), Berna noted. As county staff members have explained in past public hearings, the GBSL is the figurative “line in the sand” beyond which new construction generally is prohibited, so native vegetation can keep the shoreline as stable as possible during storms, protecting construction landward of the GBSL. The Langstons’ retaining wall is only about 32 feet landward of the Mean High Water Line, Berna continued, which means it likely will be subjected to “further impacts and undermining … if recent erosion trends continue along this shoreline.” The Mean High Water Line is approximately 79 feet seaward of the edge of Casey Key Road, he added. On one other note, Berna provided the board members a chart showing sea-turtle nesting data from 2009 through 2018 on the shore at 2016 Casey Key Road. The number of nests ranged from a low of two in 2009 and 2011, up to a high of 21 in 2016. Last year, six nests were recorded. Finally, Berna explained, before granting a Class II Emergency Variance, the board needs to determine that the proposed action will minimize impacts to the coastal systems. “Should erosion trends continue in this area,” he said, tidal action could result in the scouring of the toe of the retaining wall. That, in turn, could result in adverse impacts on sea turtles and lateral pedestrian access along the beach, he added, as well as possible disruption of the natural movement of sand from north to south on the shoreline.